Have you ever heard the saying, “it takes a village?” Well it most certainly does. 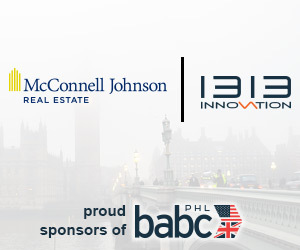 The British American Business Council of Greater Philadelphia (BABCPHL) is an exceptional platform to facilitate opportunities within and beyond Philadelphia. BABCPHL provides strategic connections to understand, de-risk, and execute business relationships on both sides of the Atlantic. While the world is smaller than ever due to technology and other advancements used to more easily communicate, a myriad of entities are required to smoothly run a business or an organization, and the BABCPHL is no exception. Did you know the BABCPHL is one of many British-American Business Council (BABC) Chapters throughout North America and the UK, governed by a cross-chapter board with a Secretariat provided by the Council’s London chapter, BritishAmerican Business (BAB)? While the BABCPHL maintains its own Board of Directors and members based within its geography – Southeastern Pennsylvania, Southern New Jersey and the State of Delaware – the organization works closely with the overall BABC network. BABCPHL also collaborates with the Department for International Trade (DIT), the economic development arm of the UK government. We work closely with all of these groups to ensure seamless delivery of our mission. BABC is the largest transatlantic business network with 22 Chapters, 18 BABC chapters in the US and four in the UK, located in major business centers. Canada is represented with an Ontario based chapter. These 22 groups include more than 2,000 businesses on both sides of the Atlantic Ocean. While all BABC chapters are successful organizations on their own, the groups benefit from the work and role of its New York and London chapters, who together form the BAB. With a team of more than two dozen people and its transatlantic brand, BAB acts as a driver for the overall network, offering content, advocacy contacts, and exposure. The UK’s Department for International Trade (DIT) is another invaluable resource to the BABCPHL. DIT’s mission is to “help UK business export their products and services to grow in the global marketplace.” DIT also helps US based companies looking to invest or grow their business in the UK. DIT has offices throughout the US, with offices in New York, Boston and Washington, DC on the east coast. DIT is a specialized government body with responsibility for negotiating international trade policy, supporting business, as well as delivering an outward-looking trade diplomacy strategy. To find out more about the services DIT offers US businesses, visit www.great.gov.uk. The highest UK office here in the US is the British Embassy which is responsible for citizens of England, Scotland, and the Cayman Islands. The Embassy is located in Washington, DC. Located within the Embassy grounds is the residence of Sir Kim Darroch, the current British Ambassador to the US. Sir Darroch is the British chief spokesperson for one of the largest embassies in Washington, DC, with more than 210 diplomats and 250 staff members. The job of the British Embassy is to protect and aid UK citizens while they are residing in the US, and communicate diplomatic matters back to their native country. The British Embassy is responsible for the communication between the host government (US) and their own country’s government (UK). There are 11 Consulates and UK Government offices situated in major cities across the US. Consulates have some of the same responsibilities of the Embassy. However, certain situations are required to be handled at the Embassy level. An Embassy is required for more pressing diplomatic issues and hosts an Ambassador. Consulates control diplomatic issues on a smaller scale, and host a Consul. Visas, marriage licenses, and British passports are situations where a UK citizen residing in the US would need to take a trip to one of the 11 Consulates. The US is connected to the UK in many different ways. In order for business to run smoothly, it’s essential that organizations and government entities assist people and companies. When business is being conducted overseas, these entities become even more vital. BAB, DIT, the British Embassy, and the Consulates support international business between the US and the UK. These essential organizations aid in communication and overseas activities. The BABCPHL is pleased to collaborate with these important groups and thanks them for their support and partnership.